As we have explained on our 'about us' page, the TorinoInglese websites exist to provide a way for English Teachers living and working in and around Torino to find private students, and to help potential students find, choose and contact teachers who offer private English lessons. Obviously, we have certain rules and requirements. For example, we will only register teachers who can show that they are living and working in Italy legally, and so on. There are others listed below. Registration is open to mothertongue English Teachers. As creators, we want to be sure our websites are used correctly, and so to that end we have created a few rules which every English Teacher must comply with. They're very simple and straightforward. Before registering, please click on the tabs below and read our requirements. We hope you find them reasonable. Please understand that anybody who chooses to ignore our requirements and acts in a way that damages the reputation or trustworthiness of our websites will be evicted immediately, without appeal or debate. That's for the protection of all the teachers registered on the site, and we think that's fair. It is not important to us if you are a qualified teacher with years of experience or a newcomer with limited experience. Visitors to your page will be able to judge the importance of these things for themselves. The information shown on teacher profiles must be honest and comprehensive; for the benefit of English teachers and students. Be living and able to work legally in Italy, and demonstrate this. Have a current and valid Italian codice fiscale and legal residence. Provide a photo to be used on the site. Agree to our website terms. The above are basic and inflexible requirements. 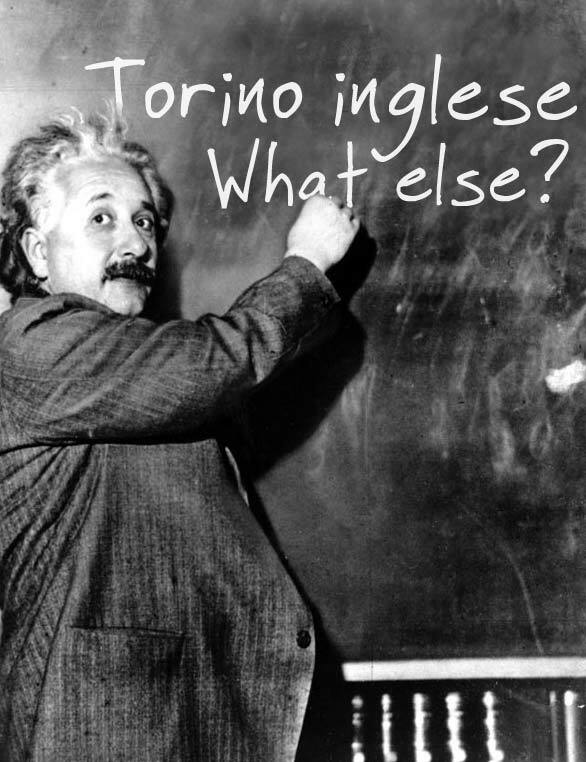 Torinoinglese.it is a website created to bring together independent English teachers and private students who are looking for English lessons. Your teacher profile page is where you provide the information students will want to read before choosing a teacher. Ideally, your teacher profile will display your qualifications, a description of your teaching and/or other work experience or any particular skills you think are relevant. You must specify your availability, which areas you work in, what type of courses you provide and what type of students you teach. Within reason, it's up to you what you include on your teacher profile page. Your teacher profile page will have a contact form which allows students contact you directly. We don't get involved. After students hit the 'send' button to send you a message, they are sent an automatic email from our server asking them to confirm if you contact them, if they are satisfied, and so on. If you have a teaching qualification (such as a CELTA certificate), you should add this to your profile page because it will definitely make students feel more confident about contacting you. That said, you don't have to list qualifications, whether you have them or not. If you wish to mention a qualification on your profile page, you must provide us with a scanned and easily legible copy of the certificate and its details, so that we can verify that it is genuine. Teachers must provide a photo to be used on their profile page. A standard head and shoulders shot will suffice. The photo must be uploaded when you complete the registration form. If the photo is too big, we can crop it for you, but IT MUST BE AT LEAST 275 X 262 PIXELS IN SIZE. We will not process a registration without an acceptable photo. If a site is not trusted, it has no value and no future. To ensure students trust our sites, teachers are required to publish the prices the plan to charge for lessons, showing a simple hourly rate and (optionally) block rates for longer bookings. In addition, any extra costs must be outlined - for example if you charge for travelling outside your home area. If you are IVA registered, your prices must include IVA. Quite simply; there must be no nasty surprises. Aside from transparency, the benefit of providing adequate and accurate information is that a student is unlikely to contact you unless you are in the right area, are available at the right times and they consider your prices to be acceptable. So, no more haggling, no more time-wasters! Everybody hates it when they take the time to write an email to someone but don't get a reply. We hate it when that happens. As soon as somone sends a teacher an email via TorinoInglese, our server sends an automatic email to ask the writer if the teacher responded satisfactorily, and so on. If teachers don't respond to email promptly, we hear about it. We didn't create a website just to give people the opportunity to ignore emails, so if the complaints are genuine, we remove the offending teachers from the site. We will delete teacher profiles from this site if we believe it is the the wider interests to do so. This includes obvious things like dishonesty and misrepresentation, passing contacts to language schools or to other non-registered teachers, in addition to failure to respond to emails, either from the website administrators or from people who contact you via the website. There aren't any fees. It's free for at least a year.